The demand for clean coal technologies has been rapidly evolving to address the mounting environmental concerns due to greenhouse gas emissions from fossil fuel sources. A large number of countries across the world has been extensively use coal technologies for generating power and as a useful feedstock for a few industries. Worldwide, coal burning will continue to account for a sizeable portion of power generation at least until 2040, despite the growing reliance on natural gas and renewables. In this backdrop, various clean coal technologies have generated substantial interest among oil and gas companies to reduce the emission of toxic particulates, sulfur dioxides, and nitrogen oxides. Various clean coal technologies are deployed notably in supercritical (SC) and ultra-supercritical coal-fired (USCs) plants mainly for cleaning coal or managing its emissions. Multiple technologies that are adopted broadly come under carbon capture and sequestration, or popularly known as carbon capture and storage, and high efficiency low emission (HELE) technology. 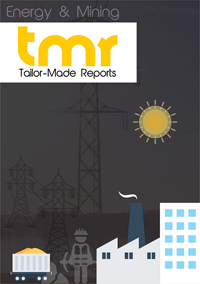 The global clean coal technologies market is making strides riding on the back of growing political will to counter global warming and investments in various developing and developed countries. Given the abundance of coal and easy storage, clean coal technologies will play an increasingly crucial role in coal plants being built across the globe, most notably in Asia Pacific. A number of companies from China, South Korea, and Japan find coal-powered plants of crucial relevance to meet the burgeoning needs of electricity in these regions. They are keen to adopt clean coal technologies. Companies at the forefront of such initiatives are IHI Corporation, General Electric Co., and Mitsubishi Heavy Industries. While clean coal technologies are likely not to lose sheen anytime soon, environmentalists and advocates of renewables along with prosumers are largely skeptical. However, the clean coal technologies market continues to gain impetus—intermittently though—from push by regional as well as global agencies in the past few years. Organizations such as Association of Southeast Asian Nations (ASEAN) and the United Nations advocate favorable regulatory frameworks and international cooperation. A handbook by ASEAN in 2017 revealed that there is a clear move towards HELE technology, thus necessitating the demand for clean coal technologies for SCs and USCs. A more recent report by UN in October 2018 revealed that clean coal technologies should play an essential role in reducing global warming effects to manageable levels. The drive for clean coal technologies in recent years has gained considerable traction from the pressing need for economical and sustainable carbon capture technologies for coal plants. These plants have been spewing out several atmosphere-damaging pollutants that contribute to the growing menace of global warming. As a result, various carbon capture and storage technologies have gathered substantial steam, especially in major coal-producing nations. With coal to remain one of the key fossil fuel sources of generating electricity to meet the global energy demands for several years, the adoption of clean carbon technologies has picked up pace. However, the market has hit roadblocks due to lack of political commitment and exorbitant costs. In addition, the lack of sufficient financial incentives and a missing economic formula on how these technologies reduce coal-related pollution are glaring constraints. Nevertheless, the sheen around clean coal isn’t going to wane at least for the next couple of decades, given the popularity of hybrid power generation projects. Some of the key regions in the global clean coal technologies market are the Americas, Asia Pacific, and Europe. Of these, in recent years, the demand for these technologies has gathered substantial momentum in Asia Pacific. This is account of coal being a significant source of power generation in several of its key economies. In addition, the drive for cleanest fossil fuels in these economies will contribute to revenues of the global clean coal technologies over the assessment period of 2018–2028.